I just learned some wonderful news! The Maysles brothers (producers of another divine film Grey Gardens) of Maysles Films are almost finished with production of a documentary of one of my personal style icons, “Iris, New York’s Rare Bird of Fashion”. See the 5 minutes preview HERE. I cannot wait for this film!!!! 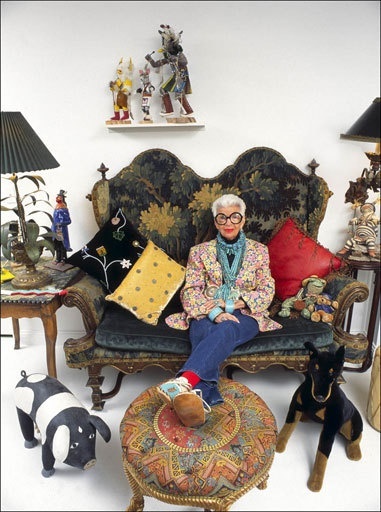 I have featured Iris HERE and have a Pinterest board dedicated to this doyenne of style. Who wants to meet me at the theatre?